The TJ Martell Foundation for Cancer Research has announced its presenters and performers for the 42nd New York Honors Gala to be held Tuesday, October 17, 2017 at Guastavino’s in New York beginning with a red carpet arrival at 6:00 p.m.
Presenters Clive Davis and model Winnie Harlow have been named two of the presenters at the star-studded event. 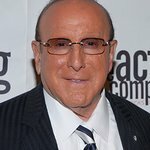 Clive Davis will present Julie Swidler, Executive Vice President, Business Affairs & General Counsel of Sony Music Entertainment with the Lifetime Music Industry Award and supermodel Winnie Harlow will present Sarah Stennett, CEO & Co-Founder of First Access Entertainment with the Spirit of Music Award. A special guest presenter will be announced for honoree Steve Boom. Performances by Kane Brown, Elle King, Bill Murray with Jan Vogler & Friends and Matthew Ramsey of Old Dominion have also been announced. More celebrity announcements will be made later in the week. Red Carpet begins at 6:00 p.m. Press must confirm attendance by emailing or calling press contact listed below. Press should arrive by 5:30pm. This year’s Co-Chairs for the 42nd Annual New York Honors Gala are Joel Klaiman, Executive Vice President and General Manager, Columbia Records and Jennifer Justice, President of Corporate Development for Superfly. Past honorees have included former President George W. Bush and former President Bill Clinton, the late Frances Williams Preston, Katie Couric, Matt Lauer, Anne Curry, Al Roker, Clive Davis, the late Arnold Palmer, Del Bryant, Scott Borchetta, Clarence Avant, Berry Gordy, Quincy Jones, Irving Azoff, Russell Simmons, Monte & Avery Lipman, the late Bruce Lundvall, John Esposito, Joel Katz, the late Ahmet Ertegun, John Amato, Bruce Bozzi, Wally Ganzi, Janice Min, Dinesh Paliwal, John Varvatos, Mitchell C. Benson, M.D., John Sykes, John Paul DeJoria, Carrie Underwood, Russell Wallach and Brett Yormark. For tickets, sponsorship or more information please go to www.honorsgalanewyork.org.